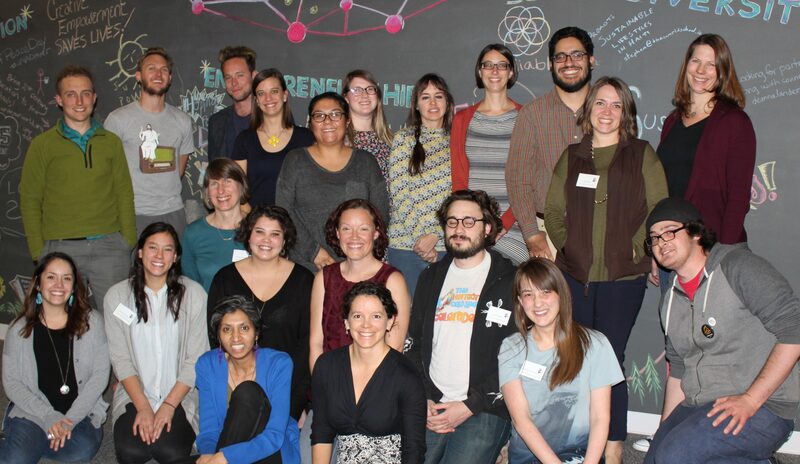 The Giving Project brings together a diverse cohort of people from all income levels who are passionate about social change and interested in developing new skills in fundraising, grantmaking, and community building. Chinook Fund is proud to collaborate with 6 other community foundations and justice funders in the national development of this innovative philanthropy model. 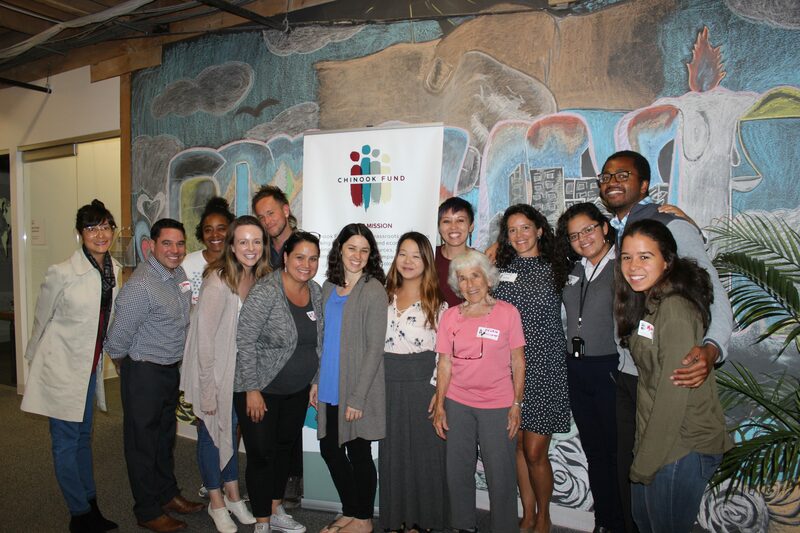 The Giving Project brings together a diverse group of people at all income levels who are passionate about social change and want to strengthen their skills in fundraising, grantmaking, and community building. 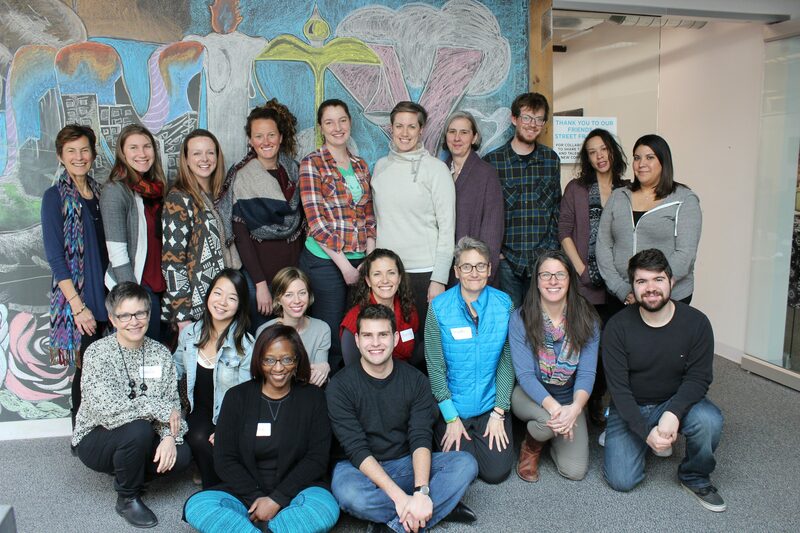 Participants work together to deepen their understanding of social justice principles in order to support grassroots organizations that build power for social change in Colorado. How does the Giving Project work? A diverse group of up to 25 individuals commits to gathering 9 times over the course of 6 months. Each person commits to fundraising from their friends, family, and community to support the financial goal of the group. Chinook Fund’s staff will train you in grassroots fundraising and provide plenty of support. Each member is trained in Chinook Fund’s democratic grantmaking process. 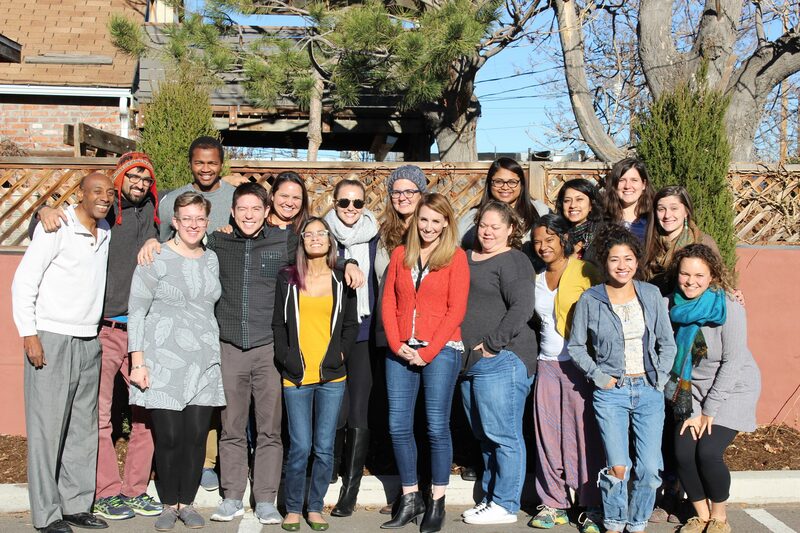 As a participant, you will read and score proposals, participate in site visits, write site visit reports, make collective decisions, and grant money to some of the most inspiring, effective social change work in Colorado. You want to make a difference about issues of injustice in Colorado. 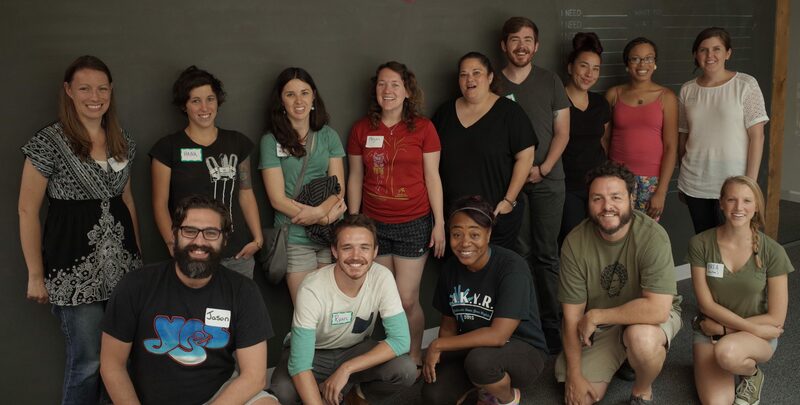 You want to learn how to fundraise, make grants, and expand your network. You are passionate about building community across race and class lines. You are ready to take on a challenging and transformative experience for the next 6 months. The Giving Project will be a diverse group. LGBTQ-identified people, people of color, and low-wealth individuals are especially encouraged to apply. Giving Project meeting dates are set and final. All meetings will take place at Chinook Fund’s office at the Posner Center (in Northeast Denver). When you apply to join a Giving Project, you are committing to all of these dates and must identify any potential conflicts. If you have more than one conflict with these dates, please consider applying for a different cycle. *The meetings on these days are scheduled to end at 5:00pm. However, because we use a consensus process to make big decisions, we may run later if everyone agrees to stay late. Chinook Fund carefully selects program members from the applicant pool to create diverse Giving Project cohorts. Step 1: We strongly recommend attending an information session, which are hosted by a Chinook Fund representative or alumni Giving Project member. You’ll learn about the model in detail and get to ask any questions before applying. If you are unable to attend any information sessions, select “I can’t attend but want to learn more” option of the sign up form—we’ll get in touch! Sign up using the form below. Step 2: A Chinook Fund representative will reach out to you to join us for an in-person interview. This interview is an opportunity to ask further questions, personally connect with our community, and make sure you are clear on the program commitments, timelines, and goals. Step 3: After the in-person interview, we will send you a link to our registration form. Our form collects demographic information and experience level, which allows us to select program members for diversity. Chinook Fund accept applicants on a rolling basis within two weeks of receiving their completed registration. Any applicants who are not immediately selected are placed on a waiting list until recruitment for the cohort ends. Those who were not admitted are first tier candidates for future Giving Projects. Chinook Fund can admit 25 members with 3 alternates for each cycle. Check out our short documentary video about our Fall 2016 Giving Project to get a sense of what the experience is like! UPDATED Thursday, April 18, 5:30-7:00pm, Boulder - Boulder Central Library Flagstaff Room (1001 Arapahoe Ave)Monday, April 29, 5:30-7:30pm, Fort Collins - Innosphere (320 E. Vine Street)Wednesday, May 15, 5:30-7:00pm, Denver - Posner Center (1031 33rd Street)Monday, June 10, 5:30-7:00pm, Denver - Posner Center (1031 33rd Street)I can't attend an information session but want to learn more! Our Giving Project members are building the movement! Thanks to their outstanding passion for justice and their dedicated collective effort, the Giving Project has strategically moved hundreds of thousands of dollars and activated hundreds of new donors to support change, not charity. Check this box to keep your email out of our mailing list. I do not want to be added to Chinook Fund's email list. By checking, you could miss out on upcoming Chinook Fund events and opportunities! Is this donation for the Giving Project? Is this donation for QTSaS? Through your meaningful gift, Chinook Fund will continue to direct resources to improving schools, housing, criminal justice reform, living wage jobs, immigrant rights, and so many other pressing issues that are improving the lives of Coloradans from all walks of life. We invite you to join us. Chinook Fund is a 501(c)3 charitable organization. Contributions to Chinook Fund are tax deductible to the fullest extent of the law. 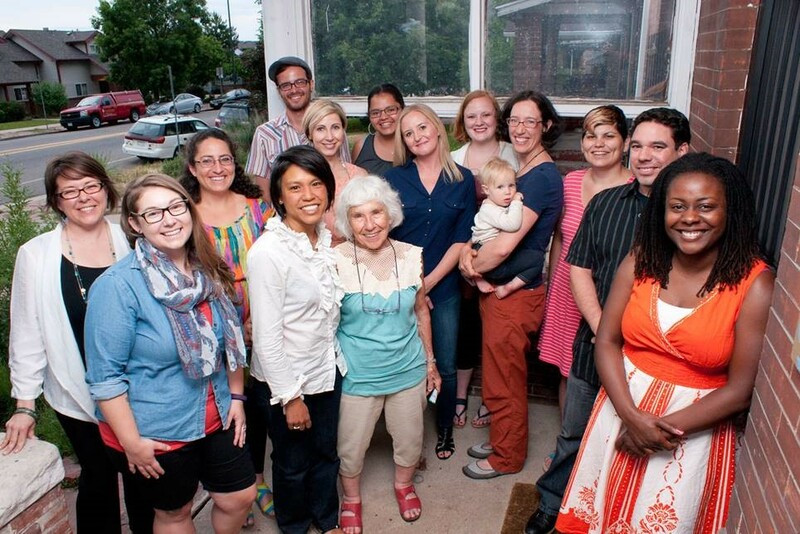 This group funds diverse organizations engaged in all types of social justice community organizing across Colorado. Giving Project volunteers will make all grantmaking decisions independently. It is our firm belief that by having community members manage the grantmaking process, Chinook Fund is able to fund movements which are most relevant to the community. Each Giving Project participant will submit an online application and have an in-person interview conversation with a member of the Giving Project leadership team. We are looking for people who can commit to all meetings in the process, have the time and capacity to fully invest in the cohort experience, and meet our overall goals for cohort diversity. We especially encourage people of color and LGBTQ-identified people to apply, and are looking for individuals from various class backgrounds. Yes. Chinook Fund is committed to providing childcare for the 9 meetings as part of the program. If you require childcare, please tell us during the application process. What organizations will be funded by the Giving Project? The Giving Project participants will use Chinook Fund’s longstanding funding criteria to select grantees. We are committed to funding organizational efforts that change systems of injustice within Colorado. For grantees, nothing will change in our process or funding guidelines. I’m interested, but I hate asking for money. Frankly, most people do. Most of us feel intensely uncomfortable asking for money. There are a lot of reasons for that, which every Giving Project group will explore in our fundraising training. We will help you learn how to ask for money effectively and to feel good about it, knowing you are engaging in powerful action for social change. It’s not just about fundraising; Giving Project participants become donor organizers – leveraging their own donations to bring in the donations of others and help build power for those working for long-term social change. We just ask every participant in every Giving Project to challenge themselves, which will mean different things for different people. What type of fundraising are we doing? We will train participants in grassroots fundraising. This means having conversations with people in your network one-to-one (or virtually) about their values and making a direct ask. We are not using online platforms like GoFundMe or crowd-sourced fundraising. The purpose of this is to build skills around relational fundraising, which is the most challenging—and yet still the most effective—type of fundraising. I’m interested, but I just can’t participate this time. How can I support? · Tell others about the Giving Project! We need your help to get the word out. · Donate. In order to make Giving Projects work, we need financial support from people who love the idea and the work but can’t be involved themselves. You can choose to donate to the Giving Project or to the Chinook Fund’s general fund.